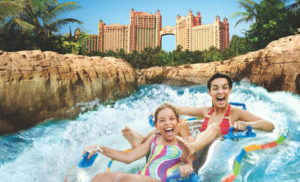 Paradise Island Beach Club guests enjoy special discounts to the Atlantis Aquatic Water Park. The park features over eleven swimming pools, a spectacular kids water-play fort, a long-stretched lazy river and exciting water slides including the iconic Mayan Temple’s Leap of Faith. 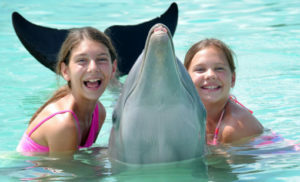 Swim with the dolphins or enjoy an encounter at nearby Atlantis Dolphin Cay or Blue Lagoon Island. Its a guaranteed one-of-a-kind dolphin experience! Enjoy access to the challenging and stunningly beautiful Ocean Club Estates Golf Course. 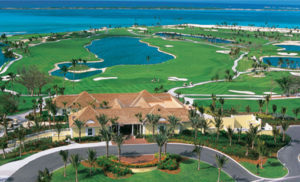 Owned by Atlantis Properties and designed by Tom Weiskopf, this 18-hole par 72 championship course stretches over 7,100 yards of Paradise Island boasting spectacular ocean views. The higher you go, the better the views. This exhilarating experience is a must for all thrill-seekers! Whether your group would like to fish, snorkel & swim, or just sit back and enjoy touring the nearby islands of the Bahamas, our concierge can assist you with the perfect private charter package. Special discount rates available for larger groups. Spend a few hours or an entire day experiencing historic and scenic downtown Nassau. Downtown Nassau features an indoor straw market and endless mix of souvenir and tourist shops. Book a tour and learn more of Nassau’s history or enjoy a relaxing horse and carriage ride. 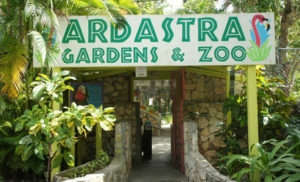 Take a trip to Ardastra Gardens Zoo, home to the world-famous marching flamingos and more than two hundred mammals, birds and reptiles. Or, simply look to the streets, chances are you’ll find interesting cultural events and other local inspired activities happening. Wrap up your day by enjoying a meal where the locals dine at the nearby Fish Fry or unwind at the popular tourist spot – Senor Frogs. Nearby ferry boats can deliver some of the best excursion opportunities. Explore other islands or remain at sea. The possibilities are endless. Swim with – Sharks, Iguanas, Stingrays and yes, even PIGS! Some excursions may be eligible for special discounts. 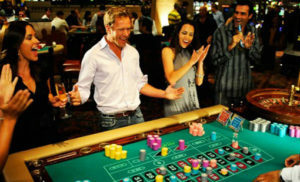 Nassau is filled with a variety of nightlife activities. From casinos and clubs to karaoke and shows, Nassau is home to some of the best entertainment in the world. 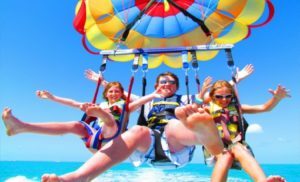 Visit nearby Atlantis or BahaMar resorts and enjoy venues guaranteed to impress vacationers of all ages. 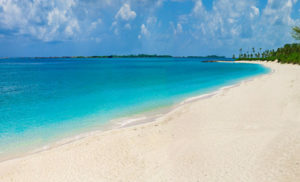 With a total of 7 beach locations, the beaches that surround Nassau & Paradise Island are not only beautiful, they offer as much activity as you would like to have. Each is designed to create a fun and relaxed atmosphere for the family- including our very own Cabbage Beach. Sink your toes into miles of pure white sand, and get sun-kissed as you relax by the ocean or swim in our crystal clear waters. The air and atmosphere are simply breath taking.